Sources have confirmed that popular Socialite and Chairman of Aquilla Group, Chief Shina Peller, is currently considering delving into politics in Oyo state particularly his constituency so as to run for a political office in the 2019 general elections. A source in Oyo politics who spoke in anonymity, disclosed that its time the people of Oyo get a youthful and innovative mind in government for the overall development of the state. So, his people ha s been pressurizing him to run for apolitical position in the state. 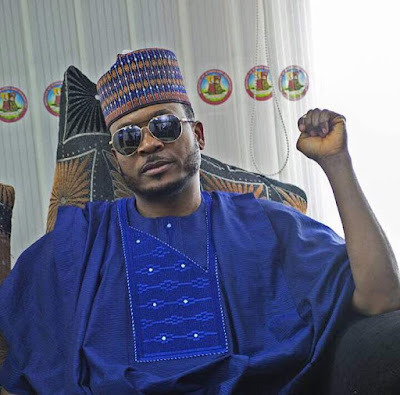 Peller, who recently paid a courtesy visit to the Nigerian Union of Journalists (NUJ) Oyo state chapter, Ibadan, Oyo state, however confirmed that the pressure is true and increasing by the day. He disclosed that he has been wooed severally to take advantage of his popularity and influence in the state for politics but he is yet to make up his mind. He said, “For now, my business is my priority, although I’ve been receiving pressure from people from every corner to get involved in politics but I’m yet to make up my mind”. Shina Peller who also commented on Nigerian economy, he emphasized that tourism holds a lot of potentials for the Nigeria economy but is seriously underperforming due to several factors which include infrastructure, multiple taxation, and security. He however urged the government to stop paying lip service to diversification in economy and ‘face reality’.